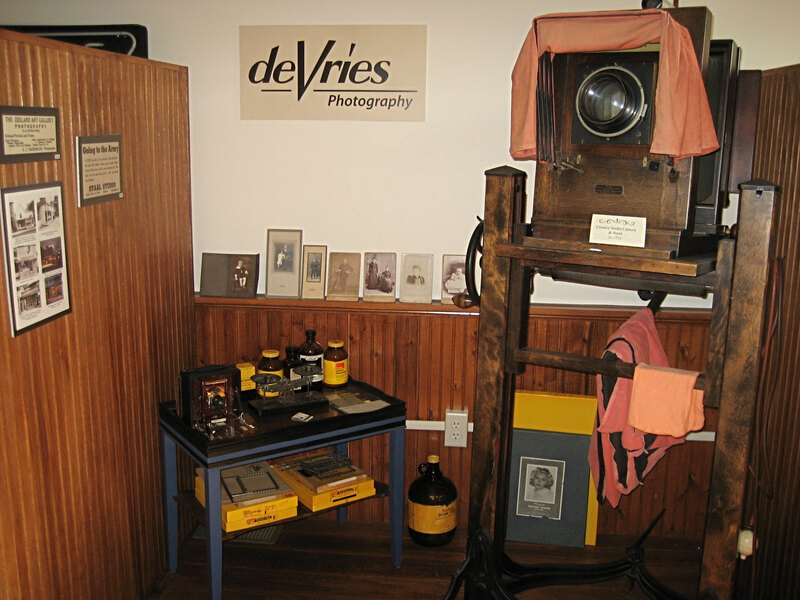 In the late 1800s, E. J. Mc Dermand opened The Zeeland Art Gallery. 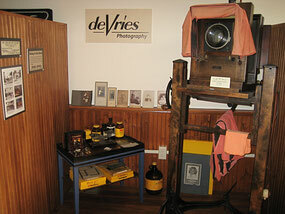 In 1927, Nicholaas de Vries began working there as a color artist and negative retoucher. 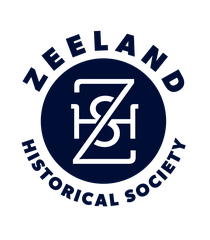 In 1941 , Nicholaas de Vries purchased the Zeeland Art Gallery from heirs of Mc Dermand, renamed the business Zeeland Art Studio and later de Vries Studio. On Thanksgiving weekend in 1985, this Main Street building was totally destroyed by fire, but quickly rebuilt into the fine studio that serves our community today. Several other photographers came and went in Zeeland, examples of their portrait work are on display. Some were Staal, Ver Lee, G. Tromp, Samuel Stobbelaar and Prince.